Turmeric Substitute – What to Use ? Preparing a delicious meal for friends and find that you are fresh out of turmeric ? Worry not as there are a few options as a turmeric substitute. Turmeric is an interesting ingredient, adding a unique color and flavor to your dish. Sometimes, it can be difficult to match the flavor properties of this unique spice, making it difficult to find a successful turmeric substitute. Sometimes it may be best to avoid finding a replacement for turmeric if it isn’t a major component of the dish. If it adds distinct flavor to your dish, though, it is best to find an alternative in your cupboards that will work. There are several options that may offer similar tastes. Turmeric hails from the same plant species as ginger​. In fact the two roots look very similar although turmeric has a slightly orange hue as opposed to the light yellow/green of ginger. 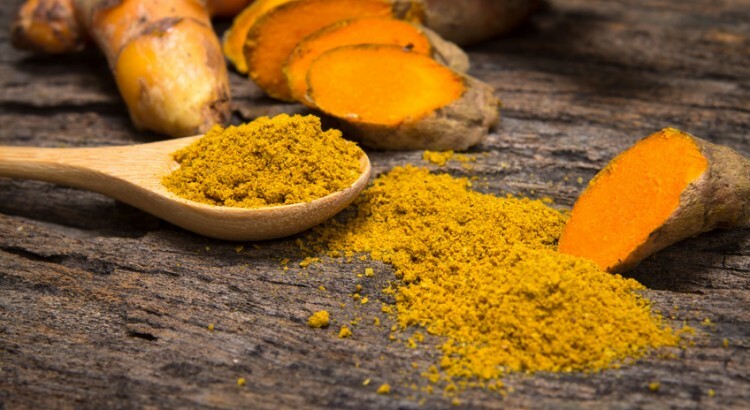 Turmeric is traditionally used in curries and in fact it is turmeric that gives as lot of traditional curries their yellow color and distinctive earthy flavor. 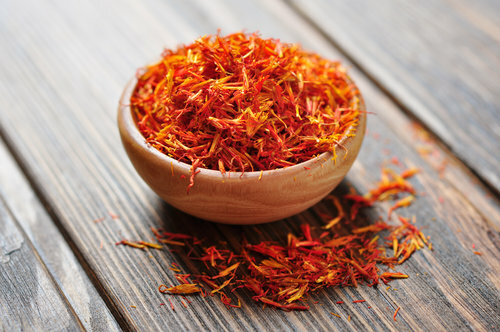 The last two on the list saffron and annatto seeds can be used to replace yellow color that turmeric provides without adding to much to the flavor. Curry powder may be your go-to turmeric replacement. One of the major reasons that turmeric is so appealing is that curry powder has a blend of spices in it and one of them is turmeric. Carefully consider what curry might add to your dish before using it. Curry powder, because it has so many other spices in it, can be much stronger than turmeric, taking over the flavor of your dish. If curry powder is a favorite of yours, consider using it for a more flavorful dish. Ginger can offer sharp flavor contrasts to turmeric. Yet some people love the pungent flavors of ginger and it does operate as a great alternative. That being said, use ginger sparingly. This offers a completely different flavor than turmeric and one that is substantially sweeter. Adding too much ginger can alter the flavor profile of your dish and change it from a savory dish to a sweet dish. Sometimes ginger might be too sweet of an alternative to turmeric. If this is the case, most homes have cumin powder in their spice racks. Cumin can be a great turmeric substitute because it offers a bitter, earthier taste and won’t overtake your dish. Cooking with turmeric can give your cooking a beautiful, vibrant color. When trying to imitate that, one of the best substitutions is saffron. Saffron can add a rich color as well as a great flavor. The flavor of saffron does add something a bit different that turmeric but it is still similar enough to where it can constitute a plausible substitution. Annatto seeds can also add a beautiful color. Those seeds do not necessarily add much by way of flavor substitution but when added with the flavor of your choosing, can make your dish look just as rich. Choosing a substitute for any spice is not ideal. The best choice, of course, requires careful consideration of your dish and its flavors. Which spice will best complement the flavors of your dish? What flavor profile are you trying to achieve? Answering these questions will help you choose the best substitution to maximize the flavors and colors of your meal. « Curry Leaves Substitute – What to Use ?